Dragon Blade is one of those movies that can only be watched in slack-jawed disbelief. Not because anything about it inspires the sort of wonder the characters in Spielberg movies have for off-screen magic. Nope, more because this thing is so outrageously, incompetently made that you just kind of have to tip your hat to the insane people who somehow thought it was a passable movie during production. It’s the latest in China’s ongoing series of blockbuster-budgeted propaganda flicks that are huge hits at home and play to confused faces oversees. 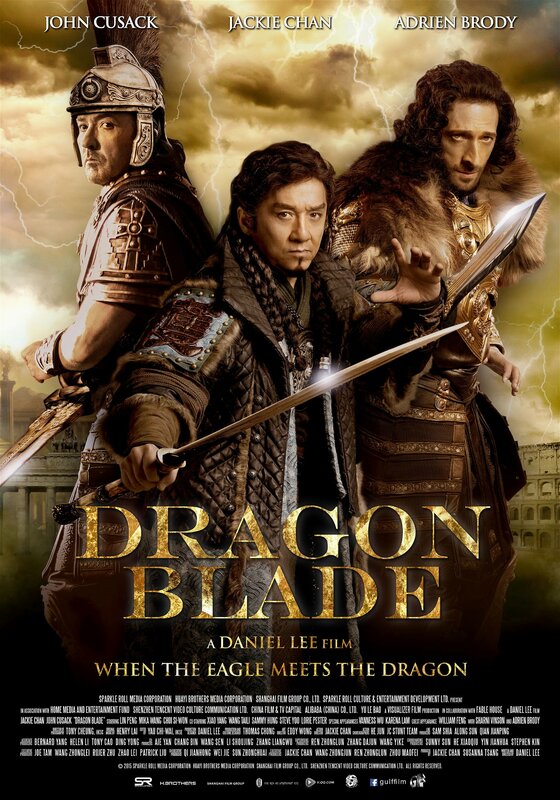 In the past, these movies have merely been dull to outsider eyes, but thanks to some absolutely redonkulous miscast American stars, Dragon Blade achieves magical trainwreck status. Well…whenever it’s not immensely boring anyways. Jackie Chan stars as a super-duper good guy who leads a gang of additional do-gooders known as the Silk Road Protection Squad. They monitor a trade route and use their fists to make sure that everyone gets along. After clearing up their latest skirmish, Chan and his good guy buddies are confronted by a Roman army led by John Cusack (not a typo). Cusack plays a general who is protecting a young boy from an evil emperor played by Adrien Brody (nope, not a joke). After a quick fight, Chan recognizes that Cusack is a good guy and they throw down their swords in celebration of their collective good-guyness. They then team up to rebuild a city where they and all the other good guys of the world can live in peace and harmony together. Of course, that dream is not to last. Brody shows up with his own army and a massive battle must commence. That might sound like a simple story, and it is, but somehow, the movie is so garbled and convoluted that most viewers probably won’t even be able to accurately summarize it afterwards. Writer/director Daniel Lee seems far more interested in the pageantry potential of the production than anything else. The costumes are lavish, the locations gorgeous, and every shot is carefully framed (even if everything is covered in an irritating amount of CGI augmentation). It feels like the filmmaker was more interested in carefully orchestrating the composition of the extras than ensuring anything in the foreground makes sense or even has a purpose. While there might be many people involved in all of the action sequences and fights to suggest an epic scope, it’s all edited together in such a frustratingly choppy manner that it’s difficult to even see what’s happening. Worst of all, whenever extras aren’t fighting and actors aren’t mugging, the flick is painfully dull. Thankfully, those mugging actors go a long way to help Dragon Blade’s watchability. As you may have noticed, both John Cusack and Adrien Brody play ancient Roman warriors in this movie. I’m going to write that again. Both John Cusack and Adrien Brody play ancient Roman warriors in this movie. That might sound insane, but I ensure you, actually watching both actors struggle their way through is even crazier than you could possibly imagine. Cusack can’t even be bothered to contain the contempt he has for the project on camera. He’s clearly as aware of how out-of-place he is as any viewer, and is visibly irritated whenever he isn’t comatose. It’s as if he told the filmmakers “you’ve hired me to stand on my marks and say my lines, I will do nothing else” and stuck to his word. Brody on the other hand continues his apparent quest to become the new Nic Cage: an Oscar-winning actor reduced to overacting in total crap. He wears a ludicrous wig, speaks in an even more ludicrous accent, and delivers, quite possibly, the most acting of his career. Neither of these performances could be described as “good,” but they do make watching the film an absolute pleasure in bits and pieces (the production was clearly shot around the brief days both actors agreed to appear), so that’s something. Yep, there’s no denying that Dragon Blade is an absolute mess. At times it’s a mess that’s hard to watch, and at other times it’s impossible to tear your eyes from, like passing a pile-up on the highway. I can’t recommend it in good conscience, but I also can’t deny that trash movie lovers will get a big kick out of the Brody/Cusack scenes alone. The saddest part of the whole production just might be Jackie Chan’s presence at the centre. Even in a project this messy, the man is endlessly watchable and chips in a few of his patented slapstick fights. It’s a shame to think that these sorts of propaganda blockbusters are the only movies that he’s allowed to make anymore, and hopefully, one day, that will change. 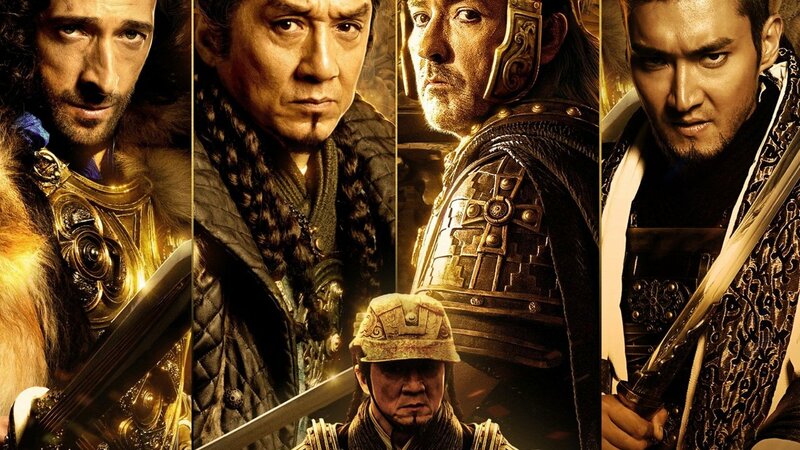 There are many cinematic crimes committed in Dragon Blade, but the biggest one just might be wasting Jackie Chan. Hopefully the guy will get a movie worthy of him again soon, because he even puts in an actual effort here. Contrasted against the lazy and batshit insane work from his co-stars Cusack and Brody, it’s even more impressive that Chan somehow retains his dignity by the time the credits roll. No one else involved in Dragon Blade can say the same, and that includes the audience. 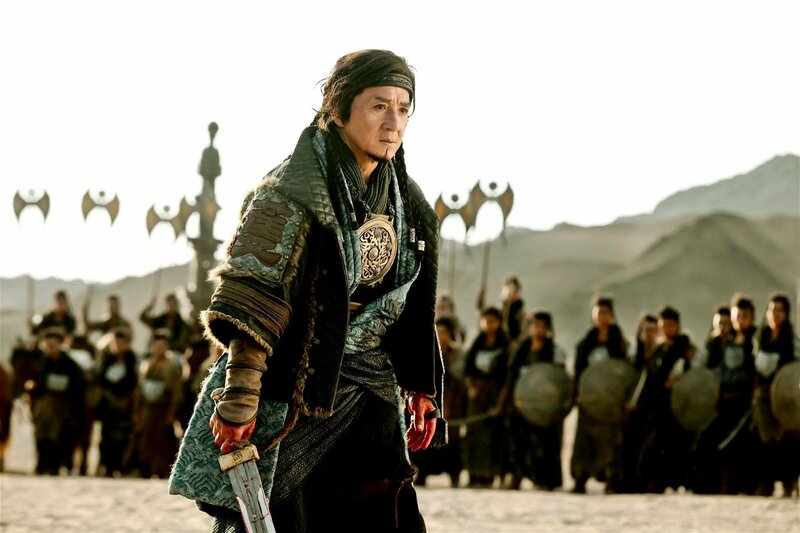 Dragon Blade is one of those movies that can only be watched in slack-jawed disbelief.